Improper placement of a trailer axle reduces load capacity, towability and safety. Placing the axle too close to the rear of the trailer frame increases the tongue weight, overloading the trailer hitch and rear tires of the tow vehicle. Placing the axle too far forward could remove too much tongue weight, possibly creating a dangerous, hard-to-control sway when towing. Measure the length of the cargo platform or box of the trailer, ignoring the trailer tongue. 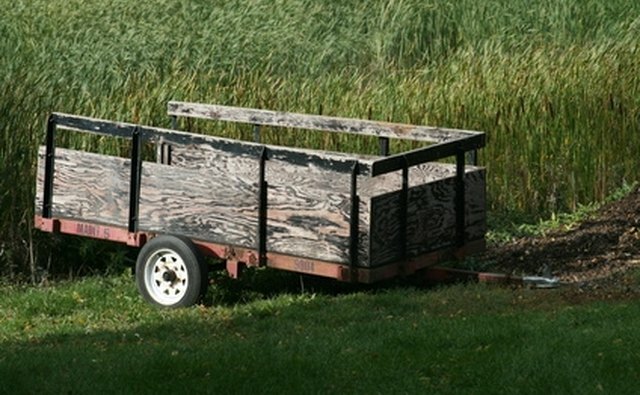 Calculate 40 percent of the length of the trailer cargo area. As an example, 40 percent of a 12-foot cargo box is 4.8 feet. 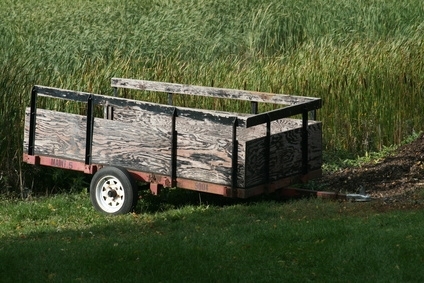 Measure the calculated distance from the rear of the trailer and make a soapstone mark on the trailer frame. Measure carefully to make certain the line is the same distance from the rear of the trailer on both sides of the frame, as this is the center line of the trailer axle on a single-axle trailer. Mount the spring brackets on the trailer frame, ensuring that the brackets are equidistant from the soapstone-marked center line. Torsion suspension axles place the wheel a few inches behind the axle and must be mounted differently. If this type of axle is used, the marked center line indicates the center of the hub, not the axle itself.